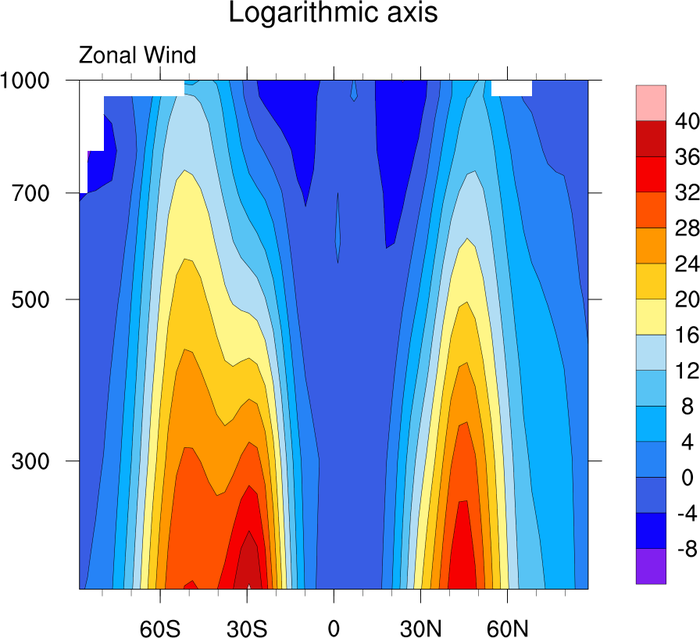 This page shows how to control the axes of any plot, like linearizing an irregular axis, converting one to a log axis, and turning off borders and/or tickmarks. axes_1.ncl: This is a simple script that uses dummy data with a Y axis that has irregularly-spaced values. The second frame shows how setting gsnYAxisIrregular2Linear to True will linearize the Y axis. Note what this does to the contours. axes_2.ncl: This script shows how to convert an irregular axis to a log axis by setting gsnYAxisIrregular2Log to True. 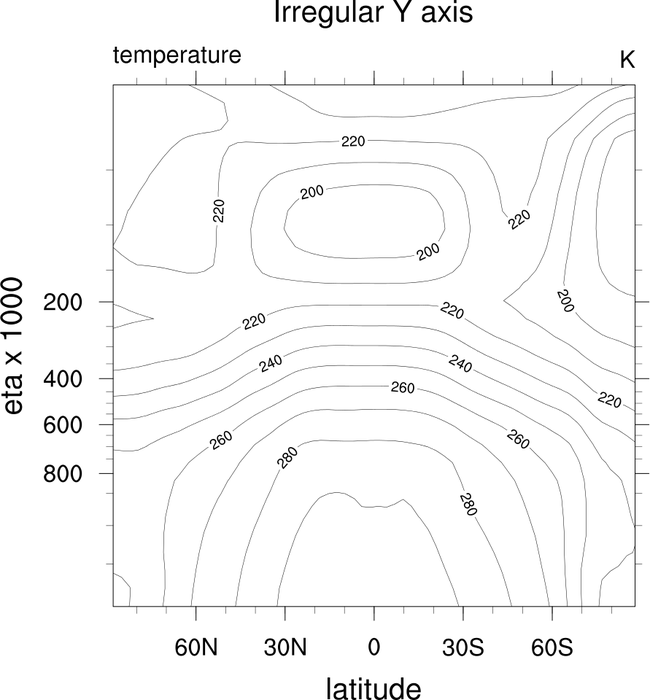 axes_3.ncl: This script shows various ways you can control all four axes of a plot. 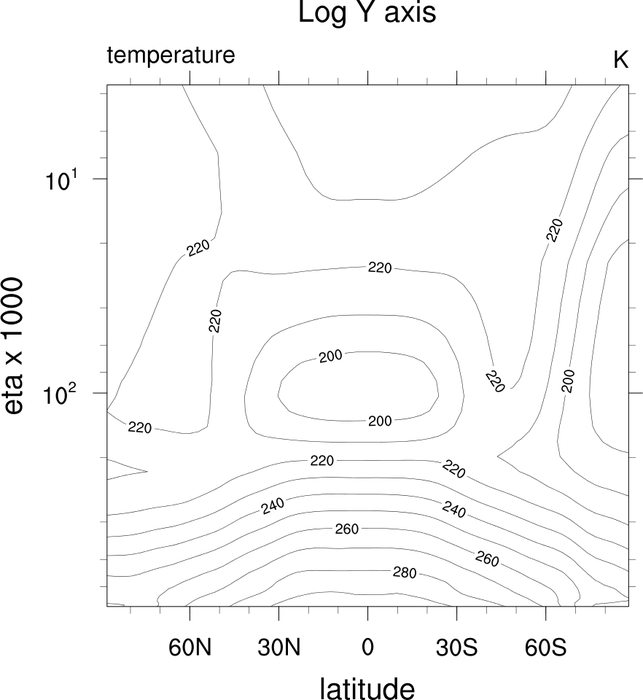 Although this is an XY plot, these techniques apply for contour and vector plots as well. 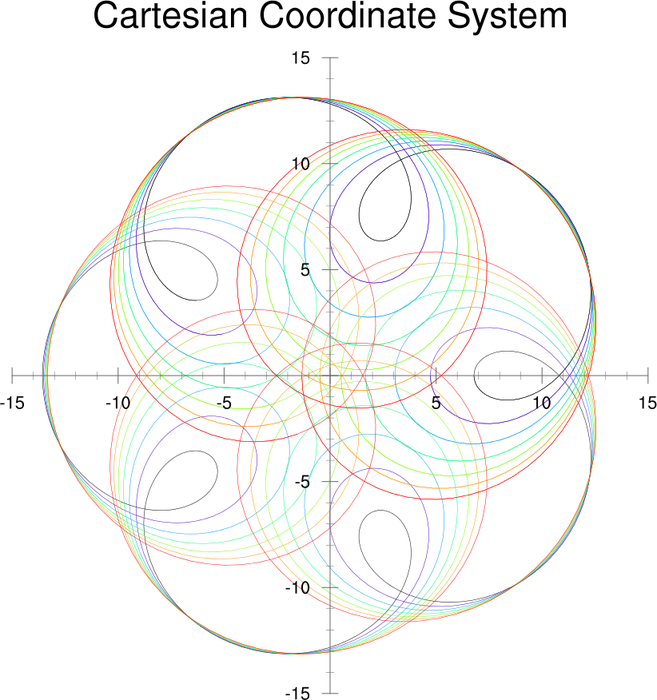 axes_4.ncl: This script shows how to replace the default axes with a cartesian coordinate system. 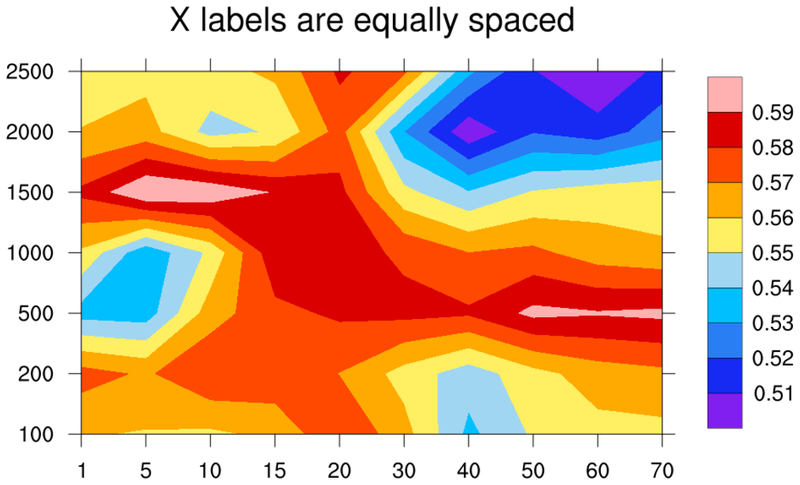 Where "x" and "y" represent the range of your X and Y axes. 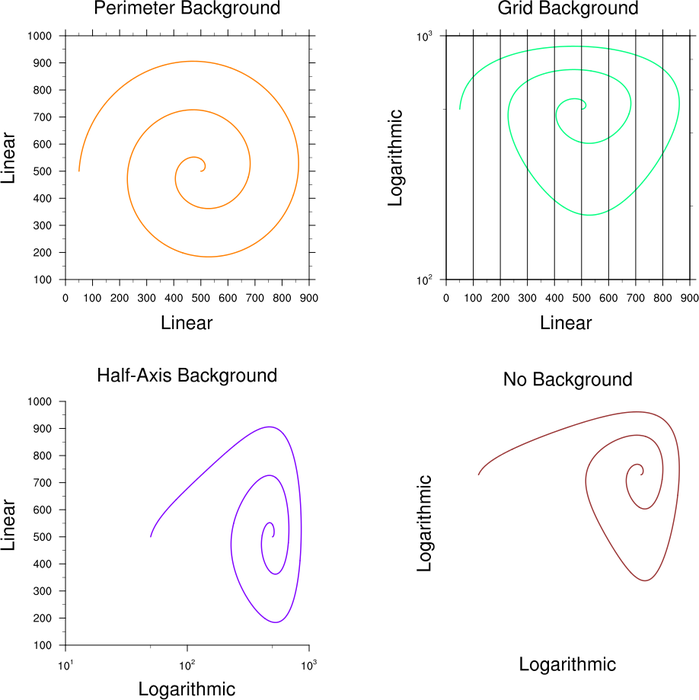 axes_5.ncl: This script shows how to convert a linear axis to a logarithmic axis in a contour plot, by setting gsnYAxisIrregular2Log to True. 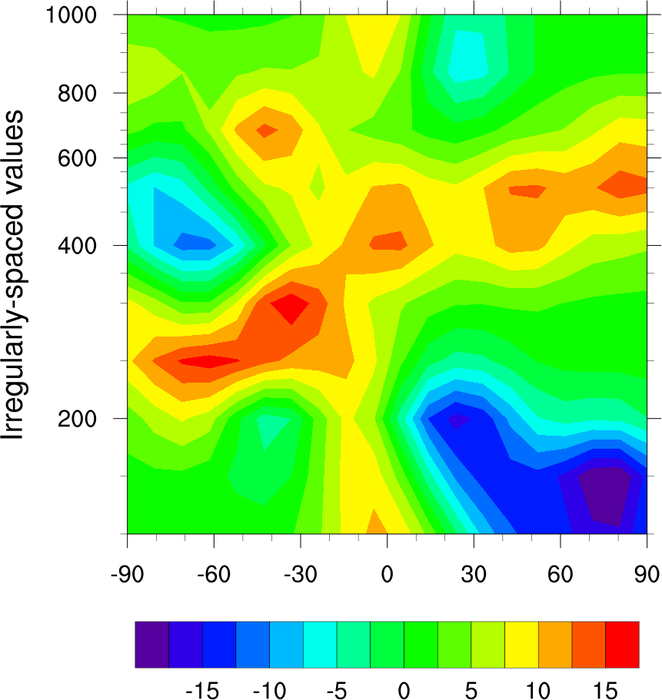 Note that the original Y axis looks linear, but is considered "irregular" because it has a coordinate array. Hence, the gsnYAxisIrregular2Log will work. 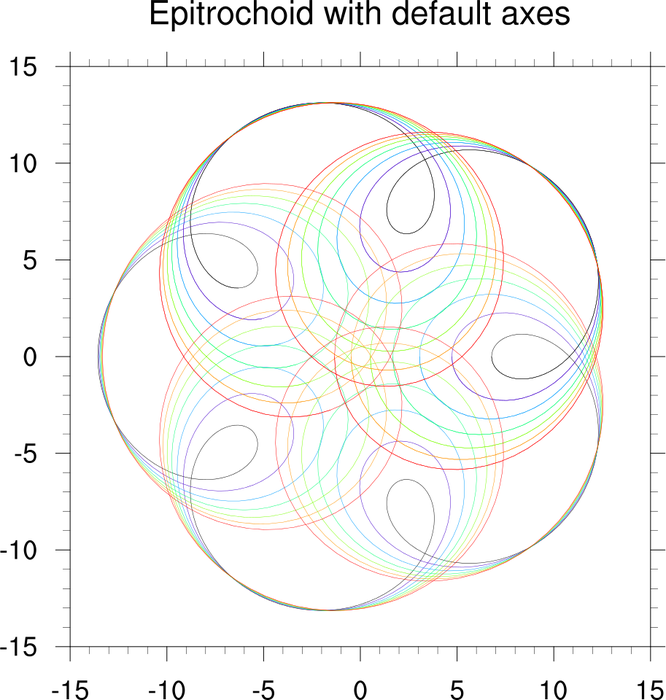 axes_6.ncl: This script shows how to increase the range of the X and Y axes of a contour plot that has coordinate values set. 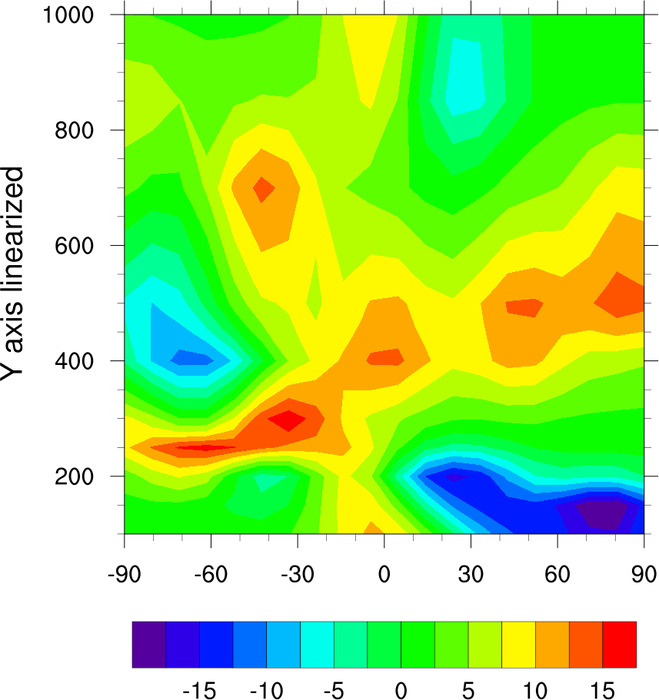 In this example, the original latitude coordinate array goes from -87.86 to 87.86, and the level array from 200 to 1000. We show how to use the new function to increase the latitude array by two elements, -90 and 90, and the level array by one element, 150 mb. 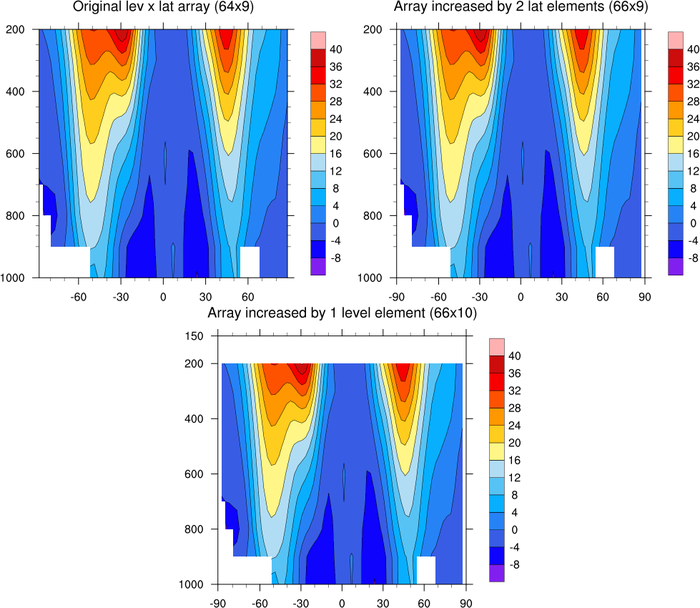 The data array is also increased by 2 elements in the lat dimension, and 1 element in the level dimension. 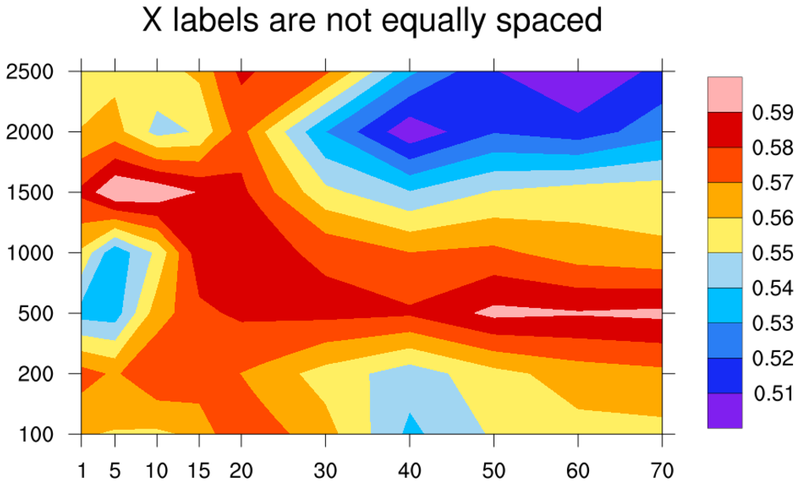 axes_7.ncl: This script creates a plot of dummy data that has both irregular X and Y coordinate arrays. It then linearizes the X axis by setting gsnXAxisIrregular2Linear to True. 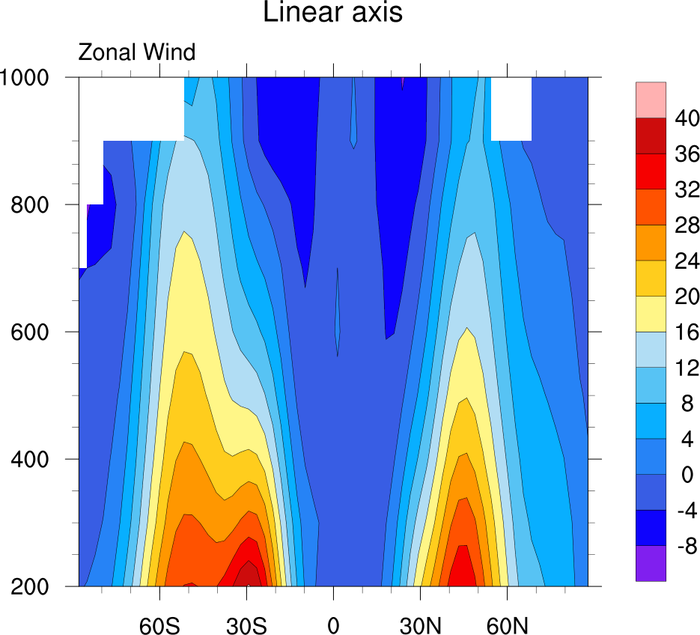 Note the change in the plot along the horizontal direction.